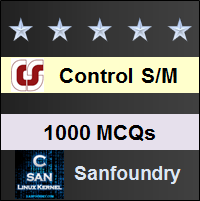 This set of Control Systems Multiple Choice Questions & Answers (MCQs) focuses on “Realization of Basic Compensators”. 1. Which of the following is not the correct reason to select feedback compensation over cascaded one? a)	No amplification is required as the energy transfer is from higher to lower level. Explanation: Feedback compensation is the compensation obtained due to feedback and cascade refers to the cascading of blocks in the forward path and feedback compensation is not preferred over cascading as it is ecenomical. Explanation: Pneumatic controllers are the controllers that perform the control action to control the motion related to air and they always perform fire and explosion proof operation. Explanation: Hydraulic controllers are the controllers that perform the control action in which the motion is due to the water and they have high torque and high speed operations. Explanation: Electronic controllers are the most flexible controller and used over hydraulic and pneumatic controllers and they use the control action where the control is mainly handled by electronic components and can perform flexible operations as of high speed and high torque. Explanation: The two corner frequencies are 1/0.3 and 1/0.1. The maximum phase lead occurs at mid frequency w =10/√ and maximum phase is 30°. Hence the system 1 is having more bandwidth compared to system 2. Explanation: Lead compensator is similar to high pass filter which allows only the high frequencies to pass and rejects all the other and Lag compensator is similar to Low pass filter which allows only low frequencies to pass and rejects other. 8. What is the effect of phase lag compensation on the performance of a servo system? Explanation: Phase lag compensation is an integrator. It reduces the steady state error. So velocity constant is increased. T(s) = 1+21s+20s2/1+11s+10s2. This network can be used as which one of the following? Since zero is nearer to origin than pole, it is a phase lead compensator. The lead compensator C(s) should stabilize the plant as it is similar to the differentiator and the tendency of it is to stablize the system by increasing the damping hence remove the first term so only option (a) satisfies.